Those of you that are familiar with my articles know I've created hundreds of routines over the years. You also know that I live with a foot in both worlds: strength and muscle. I am a powerbuilder at heart. I want to walk down the street and scare people with my size, and have the strength to back it up. There are no magic routines. Remain consistent, choose quality exercises, push for progression and make sure your eating plan matches your goals. Simple. Brutally effective. A freak-maker. So with this understood, the question becomes...what is my favorite routine? What style of training swells my testicles and keeps me up at night dreaming of gains? Well, kids, this is it. Before I present the workout, let me explain a few things. 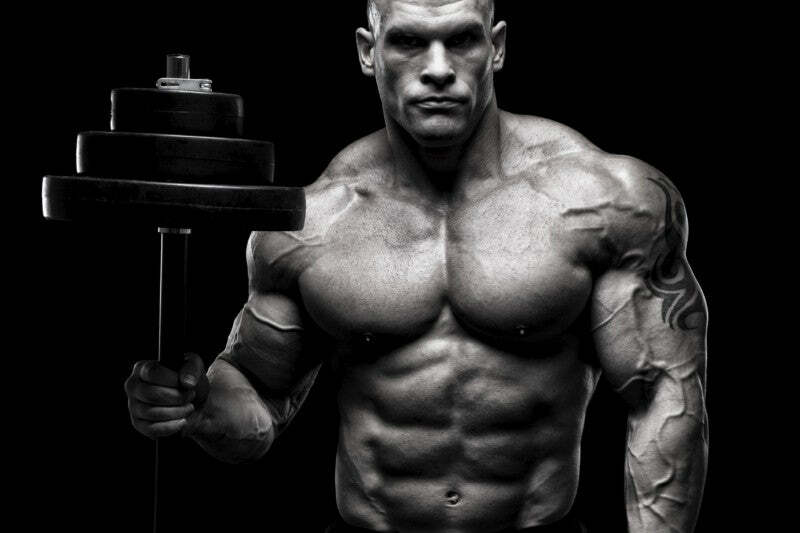 In my opinion a well-rounded powerbuilding routine consists of the following approaches. Both of these methods build muscle and strength and challenges the body - just in a different way. Strength Work - Heavy, compound movements performed (generally) in the 4 to 8 rep range using weights that are typically greater than 80% of your one rep max. Rage mode engaged, PR or ER. Well, not quite that extreme...but you get the point. Live for progression on these lifts, always using good form. Volume Work - We'll be working in the 65 to 80% of one rep max range here. Now that the heavy work is done, it's time to kill our muscles by cranking up the volume and pushing sets to the limit. Remain consistent, choose quality exercises, push for progression and make sure your eating plan matches your goals. I start with the big-hitting compound exercises. Next, I move on to volume work, and forge strength and muscle gains by maximizing each set. Try it, back it with a good diet and you'll gain like a monster. So without further ado, it's grow time. Here is a sample schedule. If you want to move around calves and abs, do so. Major muscle groups are the main thing. How often, and when, you work calves and abs are up to you. For more information on my Rep Goal System, check out my book Massive Iron. Start with the big hitting compound exercises. Next move on to volume work, and forge gains by maximizing each set. Rest. Don't rush from set to set. You also don't want to screw around and take 5 minutes in between efforts. Rest until you feel physically and mentally ready to go ago, then hit it. Weight. Use the same weight for each set of a given exercise. When you reach - or exceed - the rep goal for that movement, add weight the next time you perform it. Rep Goal Total. Just a reminder that the Rep Goal Total is NOT reps per set, but your total goal for ALL sets. Exercise Swaps. What if you don't have a specific piece of equipment? Swap in an equivalent exercise. If you have any questions about exercises, leave a comment below. Ab work does not use the Rep Goal System. I see that day one only has the “Rep Goal” and the other day just say reps. so does it mean 3 sets of 35 reps each set? Day 1 is the only day that has “Rep Goal” up there. Are all the other days total Reps per set? This looks crazy, but might just be what I need to get through a few sticking points.